Planning for a Keratin Treatment in Hyderabad? Here’s everything you should know about it. Keratin treatment restores the Keratin protein that is naturally present in your hair. is lost with time. It could be due to the usage of hard-water to wash your hair (which is a regular case in most households). It could also be due to various heat treatments & colouring that you do to your hair. Pollution is another big reason. In fact, a key reason for hair damage is harmful UV rays. So, your hair goes through a lot of abuse even in your day-to-day life. then becomes the perfect solution for your hair. Picture of Client’s hair before & after the Keratin Treatment in Hyderabad, at Just Flaunt Salon. Some common myths about Keratin busted? Myth #1: Only those who wish to have straight hair should go for Keratin. 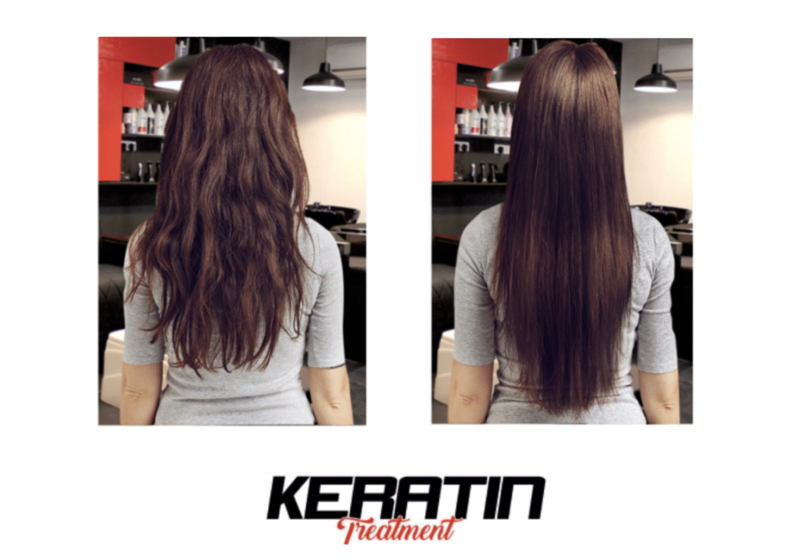 Keratin is not just a process to straighten your curly hair. It’s a process to add life to your hair. It’s a hair restoration process as well. So, if your hair is dry, lifeless, damaged, Keratin is the answer. So, it’s also for those who have straight hair. 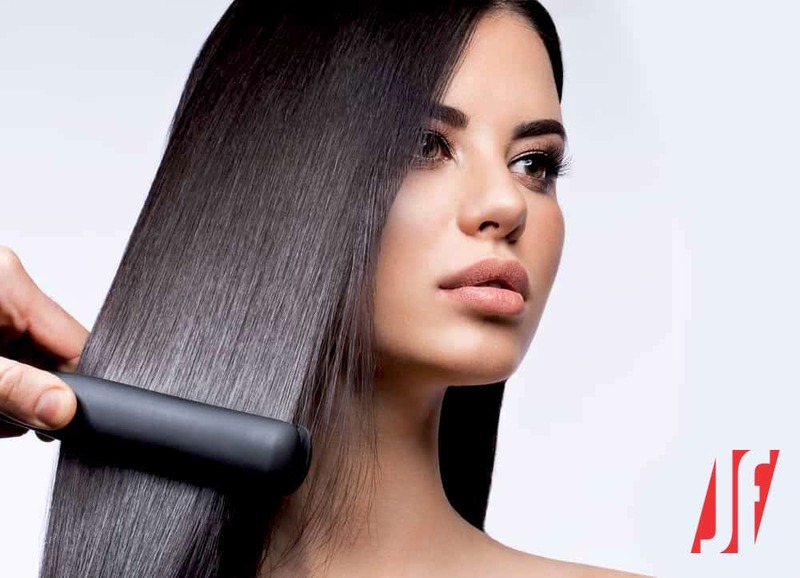 One of the biggest benefits of taking a Keratin Treatment is that it reduces Blow dry time by up to 60 %. And Blowdry is known to be the primary cause for hair damage. So, whether your hair is dry, frizzy or manageable, go for an excellent Keratin Treatment today. Myth #2: Keratin Treatment is the same at all salons. That’s another big misconception that most people have. Keratin treatment is a long and complicated process. From specially-trained Hair-Dressers to the best products & equipment, everything matters. Some salons offer Keratin Treatment at very low prices. So, how do they manage that? It’s simple. By using substandard products, and hiring hairdressers who don’t specialise in this treatment. But this does more harm than good. These products might give you some initial results, but in the long-run, they will destroy your hair. Myth #3: Keratin Treatment causes a lot of hair breakage. Some people also worry about hair breakage due to Keratin Treatment. But all that is just a myth. Hair breakage has nothing to do with the treatment. In fact, it has more to do with low-quality flat-irons you might use at home. We at, Just Flaunt Salon, for instance, use Ceramic Flat-irons by Wahl. It is one of the best professional Salon equipment companies in the world. So, you don’t really need to worry about any adverse effects. Myth #4: Taking Keratin Treatment at home is the same as the salons. In fact, some people try taking Keratin Treatment at home. There are ready-made, low-cost, enticing products in the market. But we can assure you that these products are also low-quality products. Most importantly, you need to understand that a Hair Expert will review your hair texture, and decide the course of the treatment for you. When it comes to Keratin, there’s no such thing as one size fits all. Incidentally, we at Just Flaunt Salon are running a special offer on Keratin Treatment. It’s a limited period offer. So, hurry. Book your appointment by CLICKING HERE. The process can go up to four long hours (depending upon the length & texture of your hair). Our professionals will apply Keratin Shampoo to your hair, followed by depositing a Keratin Resistant to your hair. Then, your hair is flat-ironed with a Special Ceramic Flat Iron. Keratin is such a specialised treatment at Just Flaunt that we understand the usage of a Special Ceramic Flat Iron also makes a massive difference to the procedure &the results. Two days after the treatment, you with have to make a second visit to the salon for your first wash, along with straightening. That completes the who process. Post-treatment care is the most crucial aspect of any Keratin Treatment. If you don’t use specially-formulated Keratin Shampoo & Conditioner, the effect of your treatment will not last long. Also, it’s highly recommended to take regular hair spa once in every 45 days. It will help you retain the magic of your Keratin Treatment. The biggest don’t is to avoid any significant hair treatments. It’s advised to avoid usage of Henna or Global Hair Colouring after your Keratin Treatment. The only exception is Root Touch-up. Using “Ammonia-free” L’Oréal Professional Innoa Hair Colour for Root Touch-up is the best option we would suggest. Now that you have all the information about Keratin Treatment fill the details and schedule an appointment with our Keratin Specialist. We will be more than happy to help you restore & enhance the Texture, Shine & Feel of your hair, thereby creating a protective shield.